Our school participates in the My Coke Rewards for Schools program. That means by drinking the Coca-Cola products your family already enjoys, you can get My Coke Rewards points and donate them to help our school. Your point donations will go towards rewards like art supplies, sports equipment and educational resources that help our students learn, play and have fun. My Coke Rewards codes can be found on hundreds of different packages. 1. 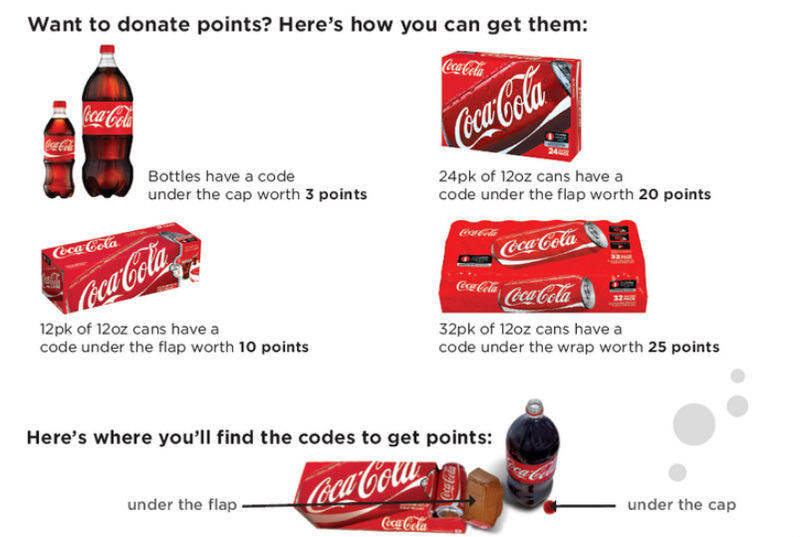 You can send in your bottle caps and box flaps with the MyCoke Rewards number to your child’s classroom. Then one of our amazing volunteers will enter them into the website for the school’s account. 2. You can go to mycokerewards.com/school and sign in (register if you are not a member). Enter your codes to collect points – then search for our school to donate points (Schools > Donate to a School > If you have not already selected our school, select to Find a school and donate points and search with zip code 08554. Enter the amount of points you would like to donate and click on DONATE. You will receive a confirmation screen and you should once again click the DONATE button. You will then receive a Donation Confirmation page.